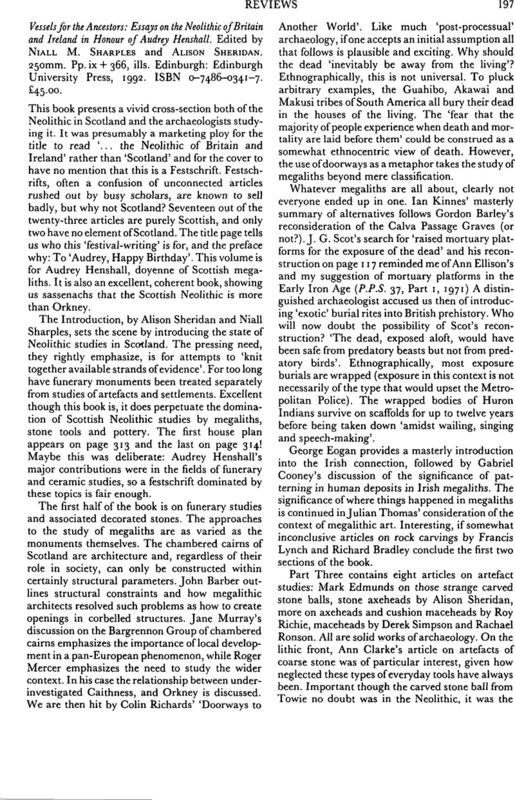 Vessels for the Ancestors: Essays on the Neolithic of Britain and Ireland in Honour of Audrey Henshall. Edited by Niall M. Sharples and Alison Sheridan. 250mm. Pp. ix + 366, ills. Edinburgh: Edinburgh University Press, 1992. ISBN 0-7486-0341-7. £45.00.